You are never too old for love and adventure. Charles knows his life without his beloved wife, Mary, will be unbearable. He gazes out of the window and stares at the translucent silver snowflakes falling gently upon the snow-covered lawn. Grinding his teeth, he feels angry when he thinks about how his middle-aged children dumped him in this smelly old folk’s home so soon after their mother’s death. A loud rap on the door then disturbs his thoughts. Never in Charles’ wildest imagination could he have known that months later, he, along with three geriatric rockers, would be on a roller-coaster adventure as they flee to several countries in Southeast Asia to elude adoring fans and escape harassment from the news media along with a major record company. Please enjoy Fossils today and find out what happens from Cleethorpes to Cambodia with shenanigans in between. 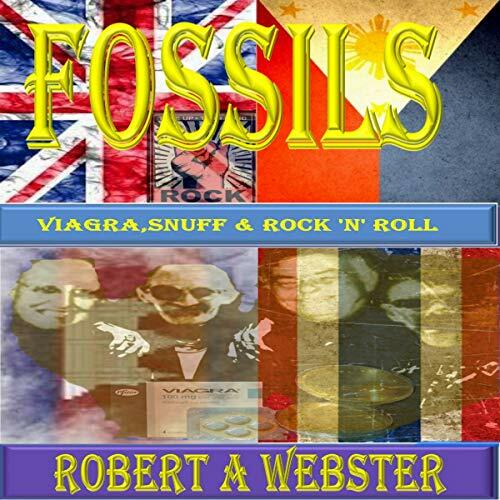 Viagra, snuff, and rock ‘n’ roll.